Pumpkin seeds: These crunchy snacks have lots of tryptophan, an amino acid that promotes drowsiness. They’re also packed with protein and iron, and contain almost half the RDA of magnesium for a muscle-relaxing bonus. Pumpkin seeds are high in fat, including saturated fat, so don’t go overboard. Tryptophan works best as a sedative when you take it with carbohydrates, so eat a piece of fruit along with your seeds. 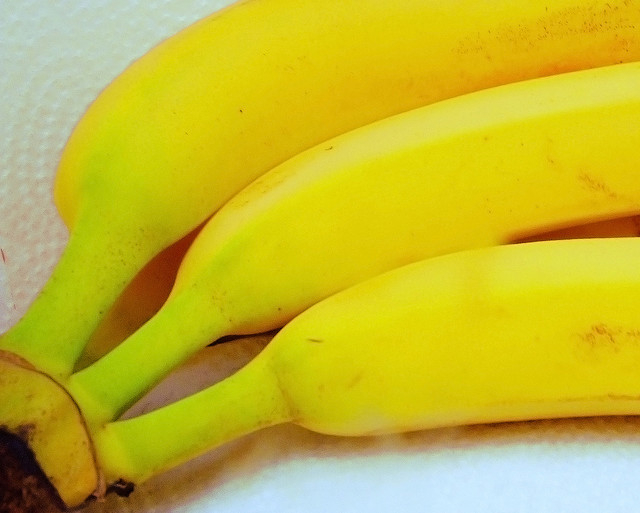 Bananas: Bananas can calm your nerves with a blend of sodium, magnesium and potassium. They also have some tryptophan, and will satisfy you without making you feel too full — important, since fullness can disrupt your sleep cycle. Rice: A study published in the American Journal of Clinical Nutrition in 2007 found that participants who ate rice 4 hours before going to sleep drifted off in nearly half the time as those who did not. While the reason is not quite clear, it could be that the carbs in the rice accelerated tryptophan transport to the brain. Chamomile tea: This soothing herbal beverage helps you sleep in two ways. As a hot liquid, it raises your body temperature, inducing drowsiness. The chamomile also has calming properties. Since chamomile tea does not actually contain tea leaves, there’s no caffeine in this relaxing brew. Dried cherries: Tart, dried cherries are a source of melatonin, a hormone found naturally in your body that tells your brain that it’s time for bed. The chewy fruits also have carbs to boost serotonin levels. Milk: It’s not just an old wive’s tale — milk can actually help you get your rest. That’s because it has lots of that sleep-inducing tryptophan. Drink it warm for even more relaxation.